Morgan James Publishing, 9781683503651, 176pp. 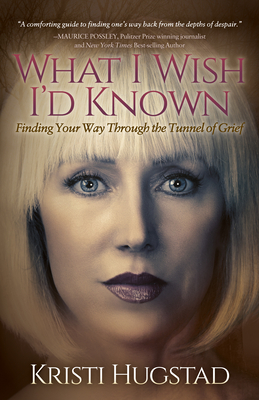 In What I Wish I'd Known: Finding Your Way through the Tunnel of Grief, Grief Recovery Specialist Kristi Hugstad shares how she reached a state of happiness and inner peace after her husband's suicide--and how you can find your balance after a devastating life event too. She provides readers with all the tools they will need for grief recovery which include self-care, how to change their thinking, and how to learn to trust again. She inspires many to move forward in their time of grief. Kristi Hugstad is a certified Grief Recovery Specialist, author, speaker, blogger for The Huffington Post, and host of The Grief Girl radio show and podcast. In the wake of her husband's suicide, she's made it her mission to reach out to those wrestling with grief and help them confront their pain and fears to gain a new perspective and new life.